A man was taken to hospital after a collision which led to Park Road being closed. 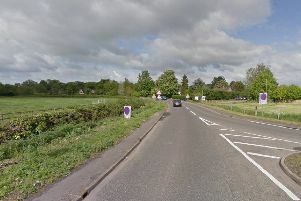 Police were called at about 9.30pm last night (Sunday, July 3) to reports of a collision involving a blue Nissan Micra and a blue Vauxhall Vectra at the junction with Granville Street. The road was then closed from the Burleigh Road-Park Road junction to just passed The King’s School, prior to Prince’s Gardens. The road reopened at about 1.50am. The East of England Ambulance Service sent two ambulances and a rapid response vehicle. A man, whose age is unknown, was treated for a head injury before being taken to Peterborough City Hospital for further treatment.